If you have a picky eater in your house like we do, it’s often a mixture of confusion and frustration for a parent who is thinking, “Why don’t you like this?” Even when our younger daughter tells us she would like something specific to eat, she sometimes tries it and says, “No, thank you.” At least she has manners about it! Ha. In the rare chance, Brie gobbles up her food at dinner, it doesn’t always mean she will eat it the next time we serve it. I’ve been through the whole 3 year old behavior before, but picky eating is new for me! That is why I loved reading the new POW! Kids book to Brie about a picky Anteater who doesn’t want to eat ants. 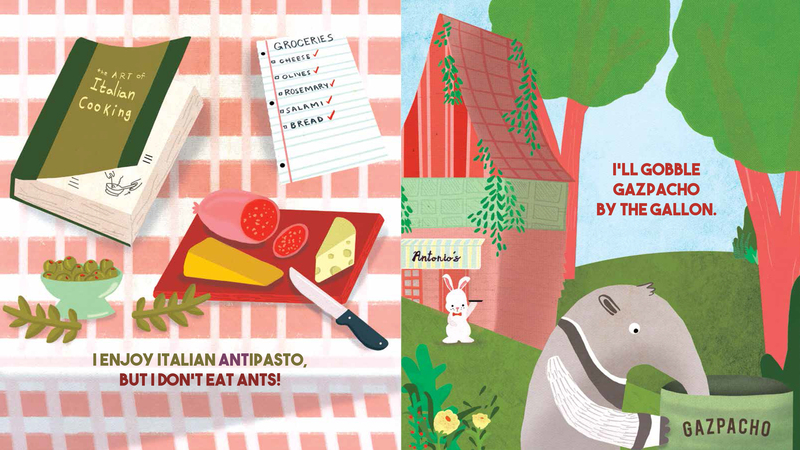 But I Don’t Eat Ants is funny and relate-able for parents (and kids!) who usually realize that if they try a food they usually end up liking it! “Koalas aren’t called Eucalyptus-eaters. Pandas aren’t called Bamboo-eaters. Jaguars eat Anteaters, but they aren’t called Anteater-eaters!” insists a voracious young Anteater who will gobble up just about every food except for one: ants! 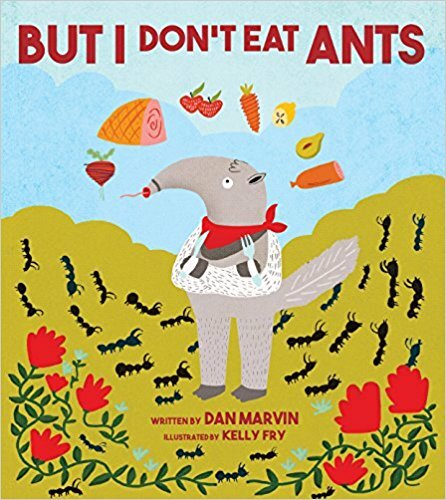 This clever take on the picky-eater is full of wry humor and silly puns as the anteater takes us through the food he LOVES to eat, all while repeating the refrain, “but I don’t eat ants.” That is until dinnertime when his mom presents him with with a “fiery” surprise. The final punchline playfully depicts the often illogical rationalizations of young picky eaters in a way that will have kids and their parents laughing. About the Author: Dan Marvin works in advertising as a writer and creative director. His education includes a B.A. from Michigan State University and comedy classes at The Second City in Chicago and Mark Ridley’s Comedy Castle in Detroit. Dan lives in Farmington Hills, Michigan, with his wife Andrea, son Cooper, and daughter Audrey. Andrea and Audrey are picky eaters. Dan and Cooper will try almost anything. BUT THEY DON’T EAT ANTS! About the Illustrator: Kelly Fry grew up in Portland, Oregon, ​where she rode bikes, ate everything she could, and drew every day. Kelly earned a BFA in ​illustration and animation from the Pacific Northwest College of Art​ and a certificate in comics from ​the ​Independent Publishing Resource Center.​ Her work has been exhibited everywhere from New Orleans, Los Angeles, Parma, Italy and Medellin, Colombia. She also makes comics for various anthologies and publications. 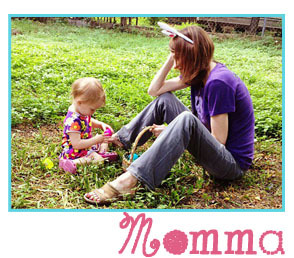 Today she can be found working in her at-home studio. You can see more of her work at kfrydraws.com.